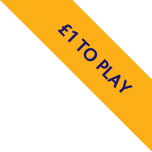 St Luke’s Lottery is a membership game which allows you to join up by paying in advance by Direct Debit, card payment or cheque and then be entered into our draw every Friday of the year. Your Unique Game Number then gives you a chance to win 1 of 102 guaranteed prizes each week including the £1,000 1st prize and an amazing Rollover prize which starts at £375 and if not won before can reach a guaranteed Jackpot of £15,000. You have nothing else to do (no agonising over which lucky numbers to pick each week) if you’re in credit you’re in the draw and if you win your cheque’s in the post. To join today the simplest and quickest way is to set up a Direct Debit and receive your membership number by return e mail. Licensed and regulated by the Gambling Commission. Licence No. 005206. www.gamblingcommission.gov.uk. Must be 16 or over to play. Underage gambling is an offence. Promoter: St Luke’s, Little Common Lane, Sheffield, S11 9NE. Responsible Person: Anthony Saunders. Registered Charity No. 254402. All proceeds go directly to St Luke’s. Your £1 per week makes a huge difference to our patients. 58% of the money generated by St Luke’s Lottery in 2017 was returned to the charity as profit. The other 42% was allotted to Prize money and expenses. Full terms and conditions available here or telephone 0114 235 7595 to request a copy.